Yes, as embarrassed as I am to admit it, I am part of the Bachelor-Nation. I rarely miss an episode due to the pure enjoyment I get from the eye candy of shirtless men competing for the attention of a 20 something bachelorette. Most of the time I watch the show while doing other tasks, volume down. I don’t need to hear dialogue to enjoy watching men frolicking in the pool. Well, I have decided that in addition to watching the Bachelorette, I am going to become the Bachelorette. No, I am not sending an audition tape to ABC (I think the age cutoff is 25 and I missed that mark 25 years ago). I am going to create my own show right here in my home town. It will make those home town dates so much easier. Being newly single and ready to see what’s out there, I think this is the perfect path for me. Seriously, the more candidates I have, the odds should rise in my favor for finding Mr. Right rather than Mr. Right Now. The big question is where will I find 25 men willing to be on the show with me? Match.Com has a plethora of eligible men (that’s what they advertise anyway) that are just waiting for me to create and launch my profile. Step one: Create a profile that shows how amazing I am using recent pictures, lots of adjectives to describe my awesomeness without coming across arrogant, self-absorbed or picky. Whew! That was tough but I managed to put together a decent profile. Now I get to sit back and wait for all of the wonderful men that are out there waiting for me. Hmm, seems as if all of the men that are contacting me look like my dad. If that is what 50 looks like when you’re a dude then… I’m sorry for you and glad I’m not a dude. Okay, must rethink my strategy. I will browse through the 1000’s of men on this site and reach out to the ones I find attractive. Step two: Roses… not my favorite flower and to be honest, a bit expensive. Since I don’t have a major Network (hello ABC and Chris Harrison) backing me I am going to have to pick a different flower. Step three: Practice the line… okay, let me set the scene for you. There are twenty five guys at my first “cocktail” party (I don’t have mansion so we are doing this in my backyard) milling around, bonding with one another while sipping beer from their bottle of Pabst Blue Ribbon. Don’t judge, a full bar for twenty five guys is a bit out of my price range. After the guys are good and tipsy I open the sliding glass door, step through and stand on the concrete step waiting for them to notice me in all my awesomeness. And I do look awesome if I do say so myself. I am wearing a pair of well-fitting blue jeans, a cute t-shirt, flip flops and sunglasses. I look hot! It’s about 90 degrees and I’m melting! I spend time with each of the guys enjoying them jostling for my attention; trying to impress me. And, I am impressed! They all have their own teeth, nice hair, and a job. For the most part, they look like their Match.Com photos. After spending approximately three minutes with each guy, I have made my decision. I leave the cocktail party to tell my son-in-law I am ready (using my son-in-law because I am assuming that Chris Harrison is not available). Son-in-law walks into the backyard. Using a fork, he taps it against a regular glass in order to get their attention. Lo and behold; it works! He’s not quite sure what to do next (we didn’t rehearse it), so he says, “Uh… guys, it’s time for the Daisy ceremony! Then he quickly exits as I enter. He doesn’t completely leave; he and my daughter are peering through the blinds so they can see what happens next. I stand on the steps with a plate of daisies in my hand. 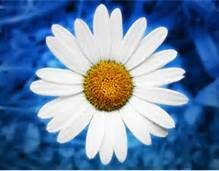 I pick up the first daisy and hold it while allowing my gaze to travel from one man to the other. They are all sweating due nerves… or possibly the heat. “Yes!” John replies enthusiastically. He hugs me while whispering, “Thank you” in my ear. I repeat this process 18 more times. I am sending six of them home. I exhausted already and I haven’t even started my own Bachelorette show. Perhaps I should rethink this idea. This entry was posted in Dating and tagged Bachelorette, Dating Mistakes, Divorce, Love, Match.com. Bookmark the permalink.